Bloggers' Cafe has been a lot of fun so far, and I was so happy to be able to attend the 3rd one a couple of weeks ago (yeah, this post is a little overdue. sorry!). For this Bloggers' Cafe, we had the opportunity to talk to jewelry designer Natalie Sadigh of Nana Bijou and Sarah Cobley, a representative for Los Angeles based clothing brand, Gypsy 05. Nana Bijou's jewelry was funky and featured a lot of color, multi-strands, and beads. 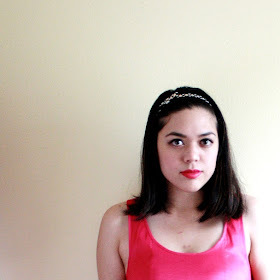 I loved how there was something to wear for any occasion. The Gypsy 05 collection was really fun (and very L.A.!). Think tie-dyed pieces, loose and flowy silhouettes, and a comfy/casual feel. After viewing the collections, we headed downstairs for snacks at Six Hundred, a pop-up boutique that features exclusive designs by local artists. I especially liked the selection of vintage clothing and offbeat jewelry made with vintage findings such as monacles and keys! 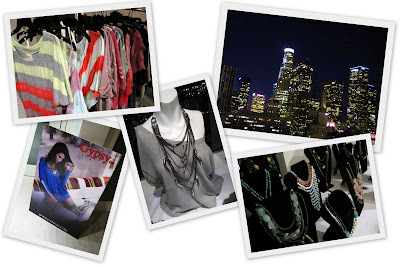 Thank you so much to Fashion Los Angeles and Two Point Oh LA for hosting, and of course, to Nana Bijou and Gypsy 05 for letting us view the collections and sponsoring the awesome gift bags! The scarf and earrings are beautiful.